In 1947, the long-retired Sherlock Holmes, aged 93, lives in a remote Sussex farmhouse with his housekeeper, Mrs. Munro, and her young son, Roger. Holmes reflects on his life while writing in his journals, tending to his bees, and dealing with the deterioration of his once incredible mind. The film, like the novel, uses flashbacks to reveal events of the past, when he was still at the height of his fame and mental ability at his Baker Street consulting rooms, and during a visit to Japan. Carleton reviews Mr Holmes starring Ian McKellan and Laura Linney. 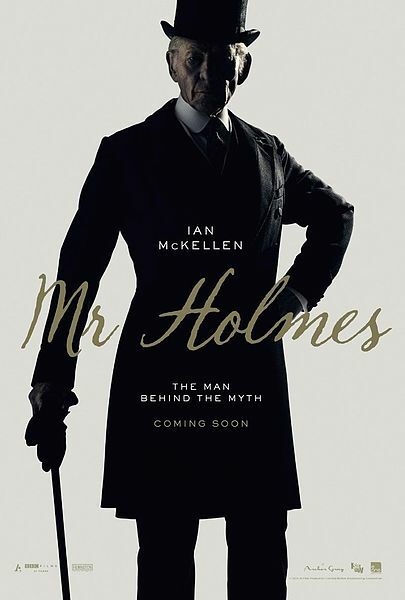 Mr Holmes is on general release in the UK from Friday 19th June.